To generate meaningful leads, you have to plan out how you’ll gain critical information and categorize the level of interest of a lead. This will make it easy for you to follow up with your prospective clients in a meaningful way that reminds them of who you are and why they should work with you. Do you currently own an investment property? How many? What are your biggest stress points when it comes to property management? Options might be late night calls, unreliable maintenance, cutting into family time, rent not being paid on time. Tailor your answer options in a way that allows you to pinpoint their needs and briefly discuss with them a possible solution you can provide. Create a space for notes and use it to jot down specific issues the customer thinks of, giving you a personal touch that will help you build rapport with them in your follow-up email. Create an easy to execute process for your team to identify the “hot,” “warm,” and “lukewarm” leads. This process can simple like using a Red-Yellow-Green flag to attach or mark on a prospective client’s business card or questionnaire. Pro Tip: Using your CRM & marketing automation platform to gather this information and start a lead nurturing process. Now that you’ve created a way to gain meaningful information you need to create a display and present your company in a way that’s professional, fun, and eye-catching. Without an engaging presentation, prospects will pass you by, and you won’t have any leads with which to follow up. Your follow-up process should also be solidified before the show. This may seem like a no-brainer, but it’s important that your emails, landing pages, and extra content are ready well before you hit the trade show floor. This way you’ll be able to take those leads and start generating a personalized follow up without delay. Though your email follow-up will be based on a template, you don’t want it to feel like an impersonal email blast. By integrating these components, you should succeed in engaging your lead, and they will be less likely to stick it in their spam folder. CTAs should be integrated throughout your message to the customer and not just placed at the end of the email. 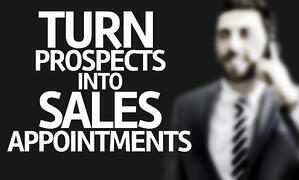 Even the most interested lead won’t want to search for a way to get in touch. It’s your job to let the customer know who you are and why they should work with you. A simple way to do this is to include a picture of your stall at the trade show. Preferably this shot should have people crowding your booth – don’t be shy about showing that you’re sought after! On top of this, all of your marketing materials including these follow up emails should include your Unique Value Proposition or UVP. A UVP is the use of a logo, slogan, and/or tagline that clearly states why working with your company will improve a customer’s life. Each prospective client probably spoke with dozens of groups that day. By including your UVP in your follow-up campaign, you will help jog your lead’s memory as to why they decided to give you their information in the first place. This is a follow-up, not an email marketing campaign. Think of it as continuing the conversation – you don’t reintroduce yourself to an acquaintance by providing your entire life story, you gently remind them who you are and how they last interacted with you. Your UVP has already provided your name and your mission, so now your focus should be on advising your prospect how you can fulfill their specific needs. If you’ve designed a survey that collects this critical data and trained your Expo staff to take useful notes, it will be easy to plug this information into your template. This will provide the personal touch required to turn a lead into a client. Another personal touch that you must include is the specific representative contact information. 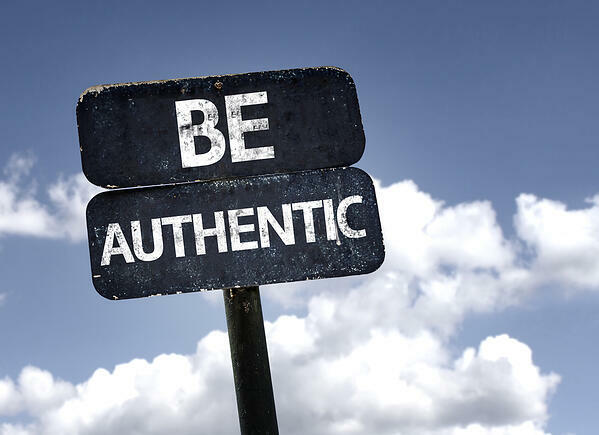 Whatever way you break this down in your company - by region, service, or maybe to whom they spoke that day - the prospective customer will feel confident that their needs are important to your company. This follow-up email strategy can also be adapted to reach out to people your team didn’t engage with individually at the trade show. These could be prospective customers who simply provided contact information via a sign-up sheet or dropped a card into a box while you were busy working with someone else at the booth. If you’re lucky, you’ll be too busy to talk to everyone who stops by! Instead of “I enjoyed meeting you at the (blank) show!” you would change it to “Sorry we weren’t able to discuss your property management needs at the (blank) show!” and move forward from there. Clearly, the prospect was interested enough to leave their information with you, just make sure you cross-reference their information with leads you did speak with. If you search “how many touches to make a sale,” you will consistently find the answer to be that six to eight are necessary on average. Our partner, HubSpot, believes that five is a good benchmark and you can read about that here. In any case, far more than one follow-up is usually necessary across all sales, and it’s no different for the field of property management. An email follow-up campaign should have several parts built in, each with a different approach to your message. This will keep the engagement with your customer fresh and not come off as a “canned” response. Depending on the customer’s level of interest and what contact information they provided these emails should be alternated with phone calls as well. Generating meaningful leads for a property management business can be difficult, especially at a trade show where you might meet hundreds if not thousands of people throughout the day. However, you don’t have to let those leads whither on the vine. If you design an active follow up strategy that engages the customer with multiple marketing tools, provides clear calls to action, and is above all personal, you’ll turn more of those prospects into clients. 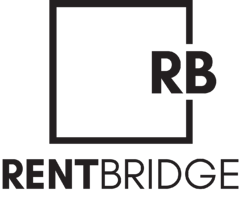 Rent Bridge provides full inbound marketing solutions, including tradeshow support to our clients. Learn more.